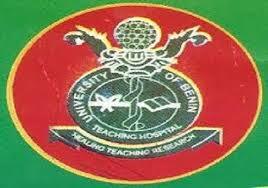 University of Benin Teaching Hospital Center for Training Community Health Officers, CTCHO Ekpoma Higher National Diploma [HND] Admission Form, Written Test and Oral Interview Date for 2019/2020 Academic Session. Applications are hereby invited from suitably qualified candidates for admission into the Community Health Officers Training Programme for 2019/2020 Academic Session. The training, which lasts for two (2) calendar years will commence in September, 2019. It leads to the award of Higher Diploma in Community Health. WASC/ GCE / SSCE or NECO with five (5) credits at not more than two sittings in the following subjects: English Language, Mathematics, Biology/Health Sciences, Chemistry and Physics. Applicants must be registered as a Community Health Practitioner and possess a valid practice license. 2. Application forms are to be obtained from the School with evidence of payment of prescribed fees. 3. Please note that the deadline for the payment of application form is Monday July 5th, 2019. Written test and Oral interview will be conducted on Wednesday 10th and Thursday, 11th July, 2019 respectively. All candidates are to bring their originals and photocopies of certificates/master-lists to the examination centre. Further enquiries should be directed to Mrs. Okunega on 08066234545.